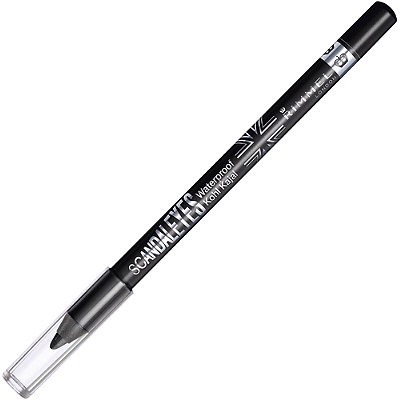 Easiest And Cheapest Way To Keep Eyeliner On Your Waterline All Day!! Apply your eyeliner to the eyelid were ever you want it hold your waterline for a few seconds and let your eyes water, get a Cotten bus and slowly dap the water like until dry apply a small amount of eyeliner to the waterline,then get another Cotten bud and dab,add one more later of eyeliner and there you go it stays on all day :). Any brand will do,even cheap.